If you are a television watcher at all you have probably at least heard about new Netflix series Stranger Things, which debuted on the streaming service last week and has pretty much become everyone’s new favorite thing. 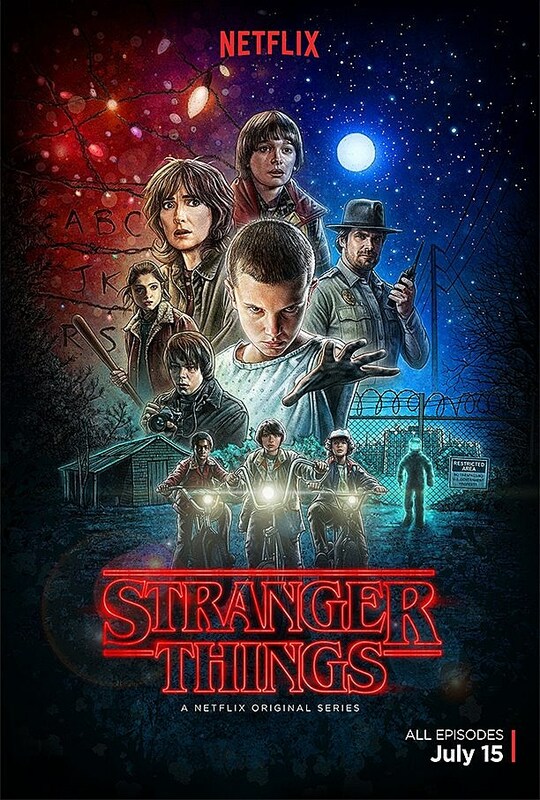 If you haven’t heard about it, Stranger Things is a very satisfying homage to early-’80s sci-fi and horror, a mash-up of The Goonies, Stand by Me, E.T., The Thing, They Live, Aliens, Freaks & Geeks, and other works of Spielberg, John Carpenter and Stephen King. It’s a lot of fun and never feels like a rip-off of its inspiration. Adding to the atmosphere of the series is its eerie, analog synth score which is clearly indebted to John Carpenter’s eerie soundtracks. The show’s score was created by Kyle Dixon and Michael Stein who have been making amazing, eerie synth music for the better part of this decade as part of Austin band S U R V I V E. You may have seen them in NYC at Glasslands in 2014, or on the BV Austin stage at Flatstock that same year. They apparently recorded nearly 13 hours of music for the series, only some of which ended up getting used. The soundtrack to the series is “coming soon” according to the show’s Facebook page and you can listen to an extended version of the Strangers Things main theme below. S U R V I V E, meanwhile, have a new album titled RR7349, that’s due out September 30 and will be their first for Relapse. (Pre-order yours.) You can check out the album’s opening cut, “A.H.B.”, and (relatively) upbeat new single “Relays,” plus streams of previous records, below.